The Palamidi Fortress has one of the most beautiful views in all of Greece, so why do so few people know about this historic wonder? 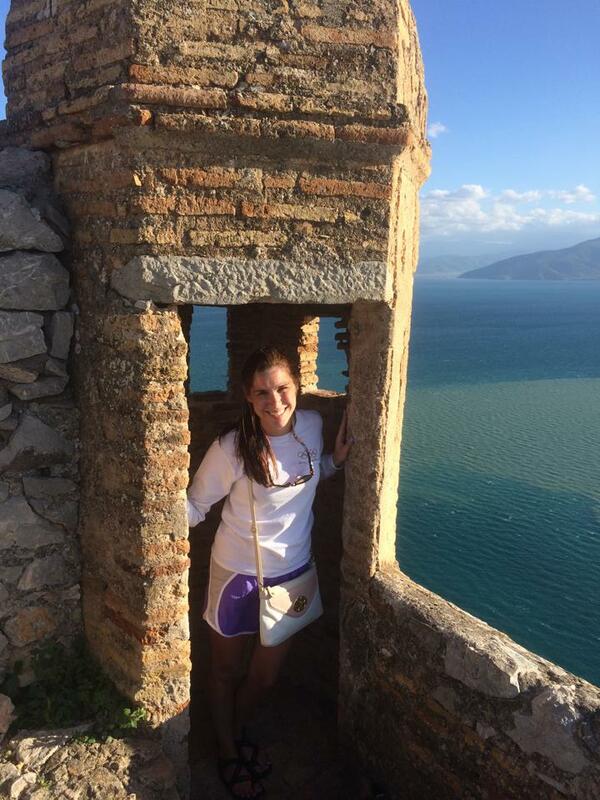 I was fortunate enough to visit the fortress while studying abroad in Greece; I still consider the hike to the top (and the charming city of Nafplio) to be one of the greatest experiences of my life! 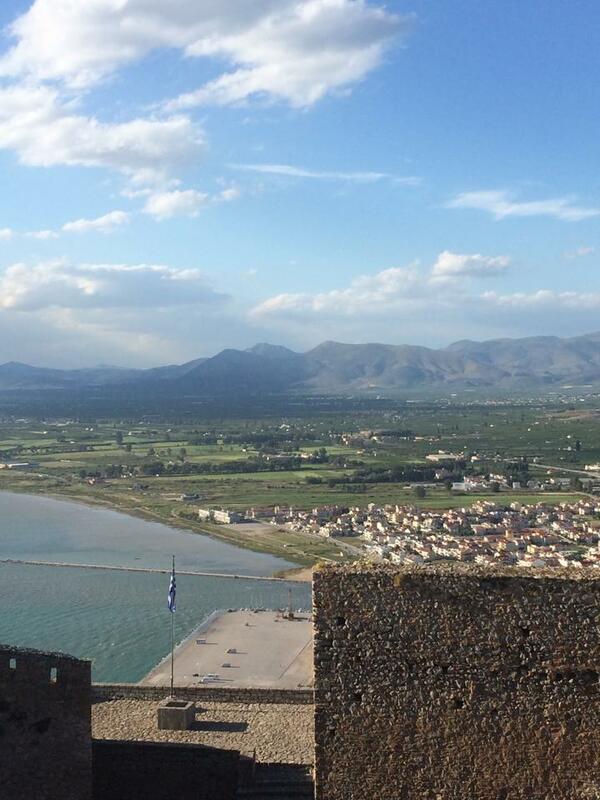 Nafplio is scattered with Turkish and Venetian influences and the Palamidi Fortress literally tops everything off. Palamidi’s history is different from most Greek sites because it is much more modern (only 300ish years old!) than your classical, few-thousand years old sites. Y’all, saying that Palamidi has had a wild ride is an understatement. This supposedly impenetrable fortress was almost immediately overthrown, but I’ll get to that in a bit. The area of Nafplio has been occupied for thousands of years and gets its name from Nauplius, one of the sons of Poseidon. Nafplio functioned as a Greek stronghold and was home to thousands, yet the ancient cityscape stuck to the coast line. Palamidi, the large, rocky hill that stretches over the city, was basically uninhabited. The name “Palamidi” is rooted in mythology, named after Palamedes, son of Nauplius. Palamedes was either a hero or a traitor depending on who you asked. In some accounts of the Trojan War, Palamedes to be the guy that figured out Odysseus was faking insanity to get out of fighting in the war – aka, he’s the guy that took Odysseus to Troy. There are varying accounts of Palamedes death, but many say that he was crushed by stones. It’s appropriate, then, that the large hill bearing his name is covered in massive boulders. The first major occupation of Palamidi came long after the first inhabitants. 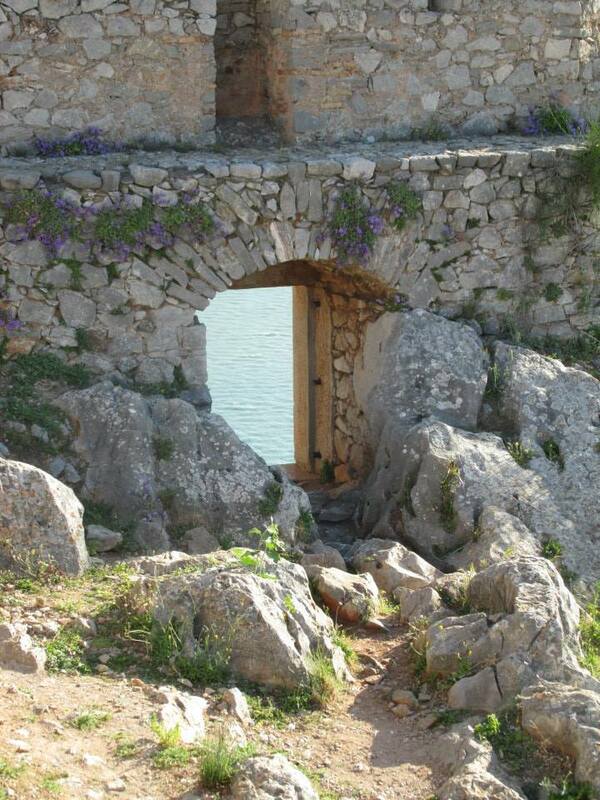 The Venetians saw the value of Nafplio and decided to build a fortification during their second occupation of the city. They selected Palamidi hill and constructed the fortress from 1711-1714. In fact, Palamidi Fortress was the final fortress of importance that the Venetians built outside of their own country. The fort was built fast, but the speed of construction was just the start of how impressive Palamidi Fortress is. Palamidi Fortress was designed to be able to defend and support itself all at once. The Venetians built 6 bastions, one on top of the other along an east-west axis connected by a single wall. Each bastion is self-contained, which means that the others can keep defending the fortress if a bastion is breached. The central bastion of Aghios Andreas serves as the headquarters of the fortress, was the best equipped, and home to the chapel of Aghios Andreas (which is a highlight on the walking tour of the fortress today). The layout of Palamidi Fortress is genius, so why was it able to fall so quickly? Nafplio is a coastal town pretty close to Athens, so, naturally, the Turks wanted to occupy it! They began their siege on Palamidi Fortress (which, remember, is supposed to be hard to penetrate) in 1715 and took it over in just 2 weeks. In other words, the Venetians built this awesome place and lost it within a year – no wonder they didn’t build any other major fortresses outside of their country! During Turkish occupation, all of the bastions were given Turkish names and Christians we not allowed inside the fortress. The Turks completed construction on a 7th bastion and completely constructed an 8th, expanding the fortress. The war with the Venetians continued until 1718, after which the Turks mainly used Palamidi Fortress as a prison until 1822. After a little over a hundred years of Ottoman occupation, the Greeks were a bit fed up and wanted their city back. On November 29, 1822, a group of about 350 Greek rebels led by Staikos Staikopoulos started a surprise attack on Palamidi Fortress. They took the fortress overnight, cleared out the chapel, and dedicated it to the Apostle Andreas, as the 30th was his feast day. Nafplio still celebrates Independence Day each year on November 30th with a special service in the chapel. In 1832, a Bavarian prince named Otto was named as King of Greece by Russia, France, and Great Britain. Theodoros Kolokotronis, one of the leaders of the Revolution, was imprisoned in Palamidi Fortress in 1834 on charges of treason. He was pardoned in 1835, but visitors can still check out his jail cell at the site. The largest bastion became functioning prison for serious criminals in 1840. One of the tasks of prisoners was building the stairs leading up to the fortress. There are said to be 999 stairs, with the 1000th being destroyed by Kolokotronis’ horse, but this is just local lore. In reality, there are only 857. The prison operated until around 1926 and is now an archaeological site open to visitors. Nafplio is only 2 hours from Athens, making it great for a day trip or overnight stay in the city. The fortress sits at the top of the city, towering over the coast below. There are 2 main ways to get to Palamidi: the road and climbing the stairs. I’m not going to sugar coat it – the hike to Palamidi is hard. You’ll have to climb 857 stairs up to Palamidi, which sits 216 meters over the city. Definitely, and I cannot stress this enough, take some water with you for the climb. Not a climber? No problem! You can drive up 25 Martiou Street and enter Palamidi through the back. Entrance to the site is €8, but many visitors are eligible for the reduced price of €4 or even free admission! Open hours range through the year, but you can basically count on the fortress being open from at least 8:30AM to 6PM most days. If you’re taking the stairs, a sign with hours is posted at the bottom, so check it before you climb. The views from the top of Palamidi are gorgeous at any time of day, but I recommend going as close to sunset as possible – I mean, who doesn’t love a painted sky? Be sure to give yourself plenty of time to explore the site, though! I spent about 3 hours at Palamidi, which included the climb to the top. I know I’ve said this already, but visiting Palamidi Fortress was one of the greatest experiences of my life. This was mainly due to the challenge of climbing all the stairs matched with the reward of being surrounded by history and the views from the top. If you’re physically able, I really encourage you to take the climb. Palamidi is truly special and I am baffled that many tourists are unaware that this marvel exists. I recommend it to everyone, but especially those who have planned a trip to Athens. PS: Like this post? Be sure to check out my other #SiteSunday features on Akrotiri (which could be Atlantis!?!? ), the birthplace of the Olympics, the Sagrada Familia, and more! Based in the US? Check out these posts on some awesome American sites: Mount Vernon, the Statue of Liberty, and the O.F.C. Distillery! Thank YOU for reading! I really hope you make it to Palamidi someday and enjoy the hike and the views! You’ll have to check back and let me know about your experience.